He danced his way into our hearts in Ex Machina. He danced into them again as The Force Awakens’ Poe Dameron. But open your heart to a dancing Oscar Isaac once more, courtesy of X-Men: Apocalypse’s hilarious gag reel. 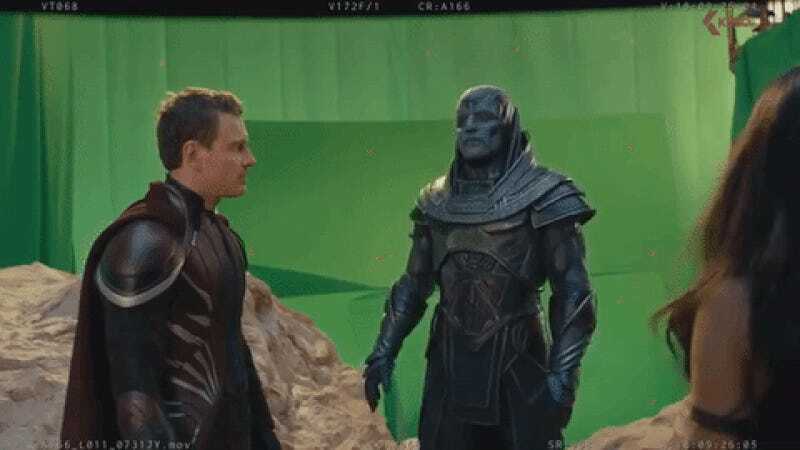 The whole cast, pretty much, gets in on the dancing eventually, but Apocalypse’s gag reel in general is full of some hilarious moments, whether it’s James McAvoy flubbing his lines, or Michael Fassbender saying that all he’s ever known in life is slaughter and “extreme pattycake,” in the most serious manner possible.